Krang and Shredder are going stir crazy. They have been defeated once too often by the Turtles, so Shredder has decided to do something about it. He takes Rocksteady and Bebop up to the Earth’s surface and to the Asian-American Cultural Center where the burial urn of an ancient noble warrior and founder of the Foot Clan, Shibana-Sama, is on display. Meanwhile, April is doing a live broadcast from the same Asian-American Cultural Center. Splinter suggests that he and the Turtles should hurry there at once for fear that Shredder may be on his way. But they are too late. Shredder knocks the Turtles out with a ninja smoke bomb and releases the spirit of Shibana-Sama. Shredder requests that the Warrior Spirit teach Rocksteady and Bebop the secret ways of the ninja and make them invincible. Shibana-Sama replies that only the true leader of the Foot Clan can make such a request. The Turtles tell the Spirit that Master Spliter is the real sensei, not Shredder. But Shredder has the Foot Clan scrolls and Splinter has lost his memory. The Spirit warns that great harm will come to those who dare to fraudulently promote themselves. The Turtles suggest that maybe they should take Splinter back to the lair and cook up an antidote to help him regain his memory. So Raphael is left behind to witness Rocksteady and Bebop gain new ninja powers. 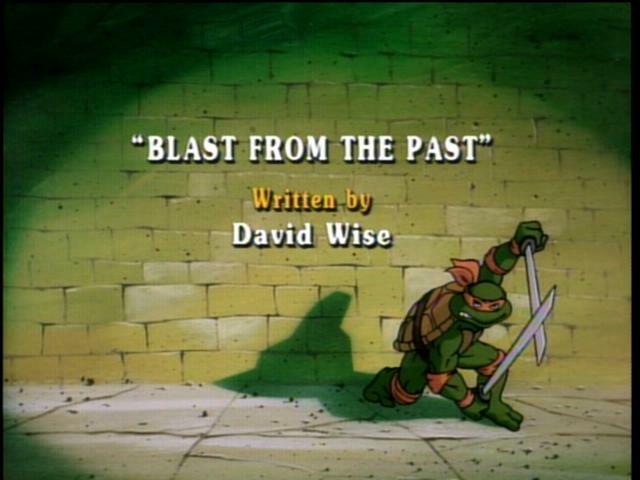 Back at the Turtles’ Lair, the other TMNT recount their history in hopes of jogging Splinter’s memory. If Splinter’s memory comes back, then, and only then, can he prove that his is the leader of the foot Clan by performing the “Kur-Li”, a secret ninja maneuver that only the true leader would know. And sure enough, mere minutes before the end of act three, Splinter regains his memory. At the Asian-American Cultural Center, Splinter performs the “Kur-li” maneuver which turns out to be nothing more than the Curly antics of the Three Stooges. Shredder is revealed as an imposter and escapes with Rocksteady and Bebop. The Foot Clan’s scrolls are returned to Splinter and Shibana-Sama’s spirit returns to his burial urn.